Are You in Tune With Your Sales Steps and Prospects? Know the Selling Steps that Lead to Closing a Sale! 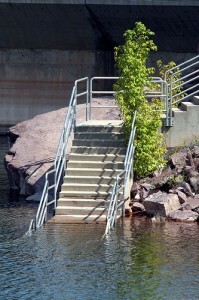 Are your selling steps leading you underwater? Being skilled in using a sales process is like leading a dance. If you dance with a great dancer, you want to dance all night. Being with a poor dancer prompts partners to make excuses, such as “I love to dance, but I have to make a call,” or other reasons to get away. Selling is similar. Do you know and expect the excuses prospects use to get away from you? How can you differentiate between real sales objections and stalls from those that are smoke? Is the current way you handle them working well? If stalls and objections still trip up your sales interviews, you may need a better sales process. You must know the moves and steps to dance. When selling, first try reaching consensus with your prospect on the steps necessary to reach a point when they will be able to make a decision to buy or not to buy. Sellers have the benefit of many freedoms. The freedom to ‘wing it’ is also one of the most common reasons for failure. Teneo Talent offers a new process of sales recruiting that uses sales assessments for both employers and job seekers to create long term fits. We also offer career development tools through our sales career coaching program, including resume writing. We offer career advice, career matching and although our organization has a national focus, and have many Denver and Boulder sales jobs available at the moment.